I think we could have spent the day sleeping, but that's not cool, so we didn't. 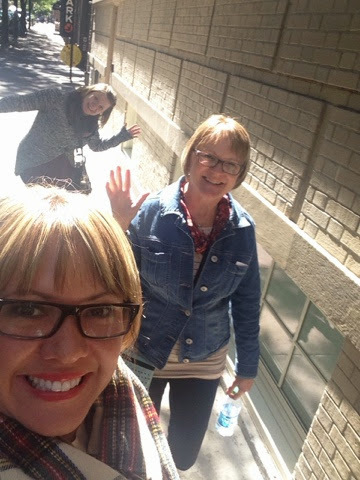 Instead, we were off on another Subway adventure, trying to find our way down to Little Italy for a food tour, booked as a recommend from our family friend Stephanie. 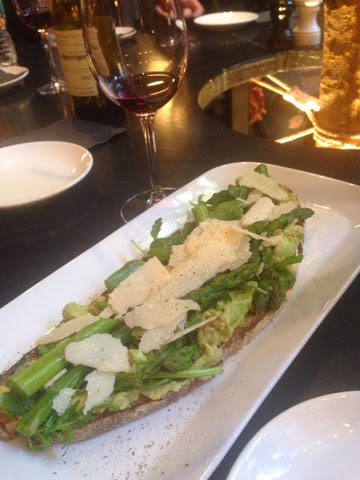 We had a tough time figuring out which tour to do as the Foods of NY tours offers a quite a variety, but I think the Nolita/Noho tour that we picked fit perfectly with our "exploring the East Side of the city" theme. Which really wasn't a predetermined theme, but it's what we ended up doing. 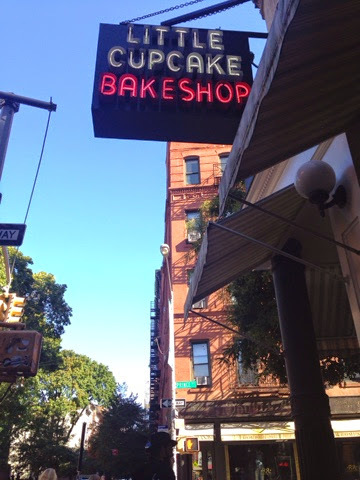 We started at 1045 at the Little Cupcake Bakeshop for what was probably the best cupcake we've ever tasted, so says Kyla. The Brooklyn Blackout was indeed perfection. We then proceeded on a 3ish hour walking tour which guided us through quaint streets, stopping here and there, learning about the area's history. It was a small tour, I think maybe with 12 of us and our tour guide was phenomenal, which really makes or breaks a tour. I wanted to take her home with me; Anny was lovely. 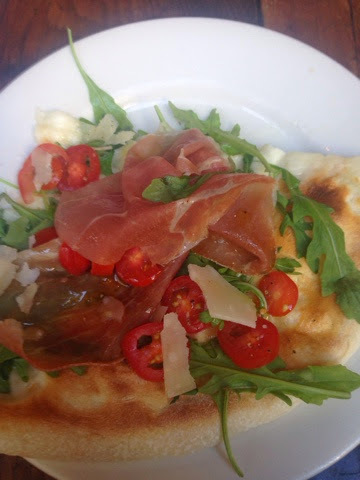 The highlight of the food tour, for me, was the Roman style pizza at Emporio, which is apparently a popular place to dine for chefs and celebs, like Alec Baldwin. We enjoyed ourselves so much that after the tour was over, we went back to a couple of the places. Okay, busted..we went back for more cupcakes. Next time I come to NYC, I want to try doing the rest of the tours offered by the company, it was really that good. For supper tonight, (of course, we were still hungry) we decided on authentic Italian at La Masseria and then it was on to our last show; Wicked. 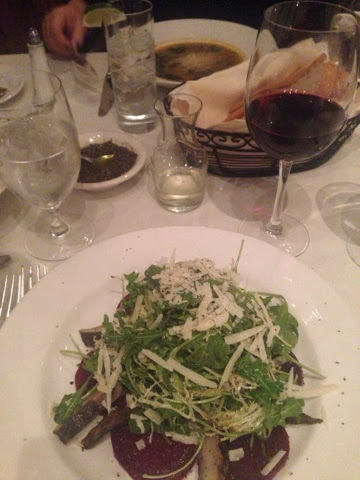 Supper was awesome, I had this salad that I need to figure out how to make at home: arugula, parm, beets, portobella mushrooms and balsamic..it was divine. And Wicked? Seriously, how have I not seen this show until today????!!! That. Was. Awesome. 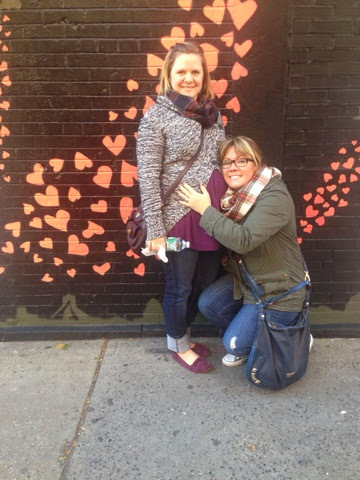 Little Italy was one of our favorite places in NYC. 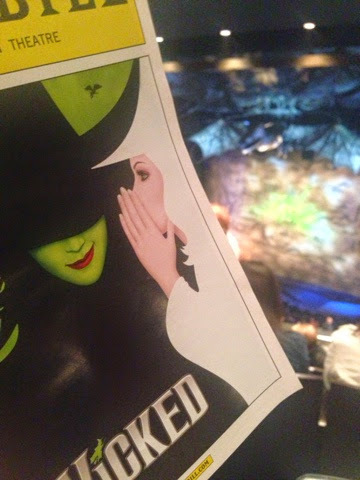 So jealous you saw Wicked - it's on my must do list. Love your pictures! totally jealous, this trip is just too much fun! and is that your mom in the third last pic??? stylish!!!!! You bet it is....she has to be stylish with the amount Kyla and I boss her around. I'm glad you guys enjoyed the Food Tour. It is my favourite thing to do while traveling you learn so much about the area and get to try really good food. Also, I've seen Wicked 3 times now, and still get chills at the end of the first half. I'm slightly jealous that you got to see Idina Menzel live. Looks like a great trip! Crap! I gave credits to the wrong Degirolamo....my bad! You'd think after all these years I'd be able to get it straight. Thanks for the recommend! 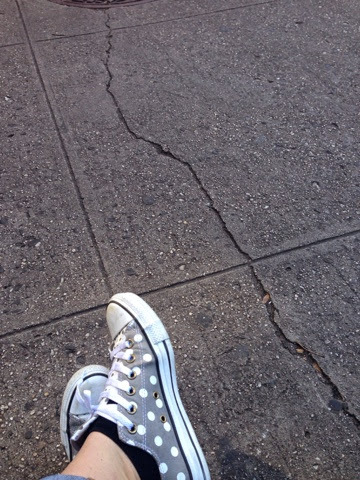 Thanks for your sweet comment on my shoe blog link up the other day! Thanks for stopping by, Rebecca! I found (and fell in love with) those converse in February at the Converse outlet in Vegas. Wicked was awesome! So glad you got to see it! The food tour sounds so fun! I'm a sucker for cupcakes and would have gone back too!